That was my thought as I walked into my doctor’s office a week after a devastating miscarriage. I was scheduled for a follow-up ultrasound to check on me after a surgery at the hospital the week before. To make matters worse, I was not feeling great. I had a racing heartbeat and low iron levels. Walking from the car up to the office was an effort for me. I felt sorry for myself, and I was prepared for others to feel sorry for me too. I figured God had arranged a motherly ultrasound tech to do the ultrasound, perhaps a kind nurse to minister to me in my time of brokenness. The ultrasound tech who found me in the waiting room was not the maternal tech I was hoping for. She was younger than me, thin. There was a vulnerability about her. Although she gave me instructions in a most professional way about what clothes to remove and where to position myself on the table, I felt a sensitivity immediately in my spirit, a prick. We chatted pleasantly for a few minutes. As pleasant as a conversation about a lost baby can be. Yes, I did just lose my baby at 11 1/2 weeks. Yes, I was supposed to have my 12 week ultrasound today, but instead they changed it to my post-miscarriage ultrasound. No, this was not my first pregnancy. The conversation then took a rather innocent turn. I had mistakenly thought that my ultrasound was going to be after my doctor exam (and urine sample) and had filled up on water. So, I commented on how excruciating it can be to have an ultrasound with a full bladder. She began to relate a story to me of an ultrasound she had had recently where she was in intense discomfort. The issue continued for over a month until I felt convicted and apologized to my friend. The very day I forgave her and sent her an apology email the problem went away. I told the ultrasound tech that sometimes we just get physical problems (we live in a fallen world and experience illness as a result), but at times we get physical problems as a result of emotional or spiritual problems. I offered her my story and told her I did not want her to suffer, so she could weigh out if what I said applied to her. I wasn’t Jesus and I didn’t even feel much like Him in that moment, but if He was indeed giving me these words for this woman, He was offering her a step to healing. And a step to Himself. 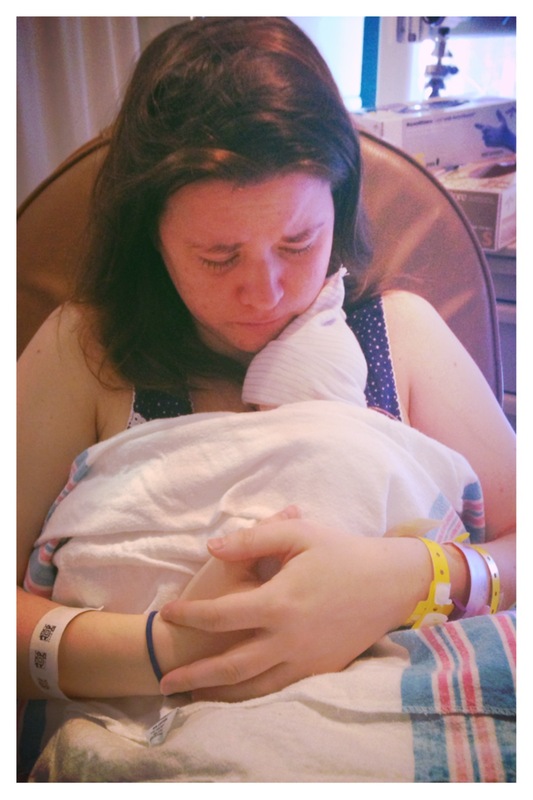 I was just a flawed woman in a doctor’s office after the loss of a pregnancy. A woman feeling dizzy and lightheaded and sad for my baby. But when I began talking, I felt such strength and power, as only Christ can provide, and I didn’t feel sad at all. My problems were so far removed from me at that moment. And I really felt that there was something sadder than an ultrasound when you aren’t pregnant: a person without the hope of Jesus Christ. She didn’t say much in response, but I could tell by the look in her eyes that my words had moved her. And because nothing else came to mind and she looked like she needed a moment to process everything, I gave her a hug and stepped away. 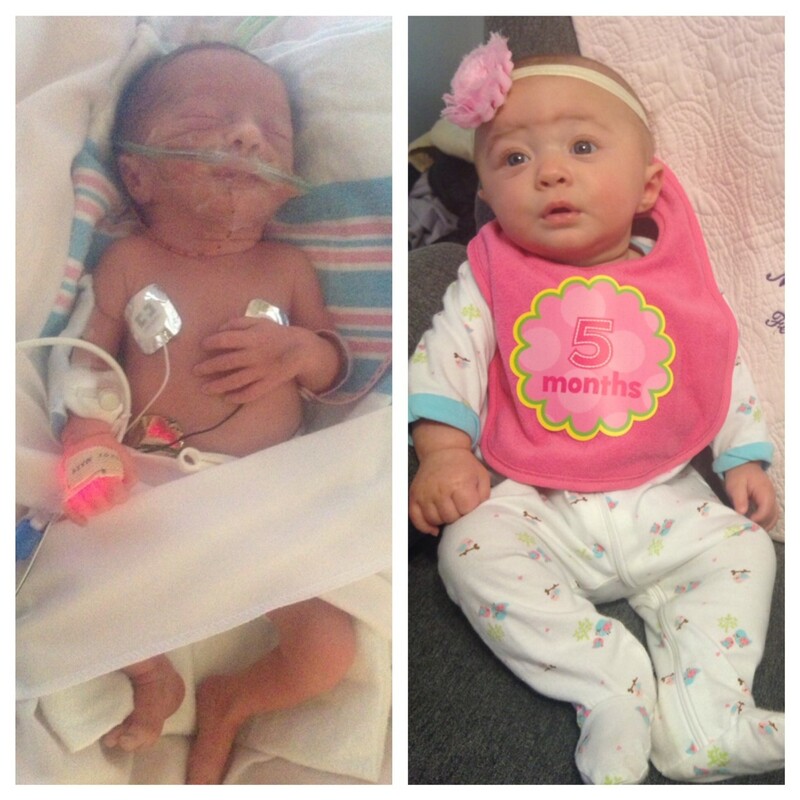 I didn’t know what was going on her life or what was going on with her body, but God did. And all I could do was offer Him. Is there something right now that the Lord might be asking of you? Something that makes you a little scared, a little uncomfortable? You may have to push aside your own desires or even reach out in the midst of your own suffering, but if you do, you may be able to forget your own sadness and feel the goodness of God in the midst of your pain. As stated in the article, physical illness is not always a result of an emotional issue or sin in our lives. Physical illness is part of the fallen world we live in. However, sometimes our physical illness can come as a result of emotional pain or sin struggles in our lives. If you’re interested in learning more about illness that comes as a result of an issue in our lives such as unforgiveness, check out this series on healing: Part One: Is There a Healing Formula in the Bible?, Part Two: How Confession Brings Healing, Part Three: How Repentance Brings Healing. Have you missed hearing co-hosts Suzy Lolley and Carol Whitaker talk through the points of our posts on our podcast? We’ve taken a break from the podcast this summer, but we’re coming back in September, so mark your calendars! Our first podcast for Season 2 will cover what our view as Christians should be on homosexuality. Check out our podcast archive from Season 1 if you would like to circle back and listen to any episodes you missed. *Updated and adapted from a post originally published November 8, 2014. His remark struck me as being of one of the kindest things anyone said to me after the incident. I could only nod. The loss of a child at any stage is a big deal, and it felt really good to have him acknowledge that and acknowledge me. I had support from other people as well. A woman at church gave me a small gift on my first Sunday back. Another woman who had suffered a miscarriage earlier that year came up to me and asked me if I wanted to talk. We both shared our stories. Two friends brought me dinner and pretended not to be horrified by the fact that I hadn’t taken a shower in a few days or vacuumed my floor. But there were other people who treated me like nothing happened. The people who couldn’t handle hearing any medical details. The people I needed help from that didn’t show up. However, miscarriage is a big deal, and the worst part about it is that miscarriage sufferers usually suffer in silence. A woman who has had a pregnancy loss may feel ashamed. She may feel that her body is defective. She may feel like no one else understands. Miscarriage sufferers need support. Even if you have never suffered a miscarriage, you probably know someone who has. And what they are going through or have gone through is monumental for them. Although their reactions may vary, they want to be acknowledged, noticed. Some may not be ready to talk about it, but my guess is that they still need to feel like people notice them and care. 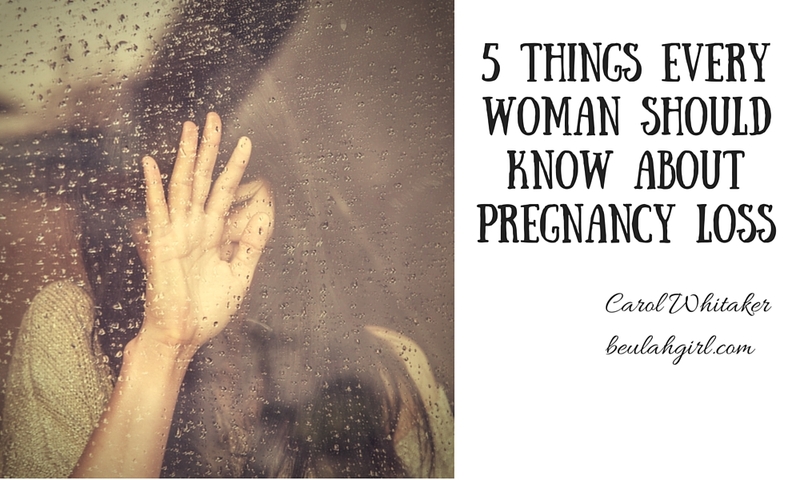 My first miscarriage occurred in my first pregnancy. It was an early miscarriage. I was probably around 7 or 8 weeks, but I still had excruciating cramping and pain and several weeks of “getting back to normal” after the miscarriage happened. Needless to say, I spent three solid days in bed. After being in bed for several days, all of the tissue passed, and the cramping stopped. However, the bleeding did not. The recovery period was very similar to that which I experienced after my full-term pregnancies. I had light bleeding that occurred for several more weeks after the miscarriage, and then the bleeding stopped and normal monthly functions resumed another several weeks later. Even when I was able to resume my old activities and felt somewhat physically better, the grieving process was one that lasted for many more months. I hadn’t told many people that I was pregnant, so I had the odd experience of returning back to church and work — and telling no one what had happened. While I pretended that everything was normal in my life, I felt very sad and depressed for some time. I eventually did tell some friends at work, and it felt really good to share what had happened. However, the recovery time, emotionally and physically, was more than I expected. I have found this to be true of many women I have talked to: We as women are so used to being the caretakers of other people, we often don’t allow other people to take care of us. If we have always been in optimal health, we assume that miscarriage won’t take that much out of us. I had a friend who began miscarrying at work on a Friday and continued throughout her day teaching. She kept popping Advil, left at her normal time to pick up her daughter — had the miscarriage that night — and then returned to work the following Monday. Suffice it to say, she was not able to make it through the day and was given stern orders by our department head to take some time off. As she recounted this story to me, I was in utter shock! Her body and emotions needed time to heal, but we as women often don’t get the luxury of taking a break. When a miscarriage occurs, however, time is needed to let your body and soul recover. 2. Be your own health advocate. 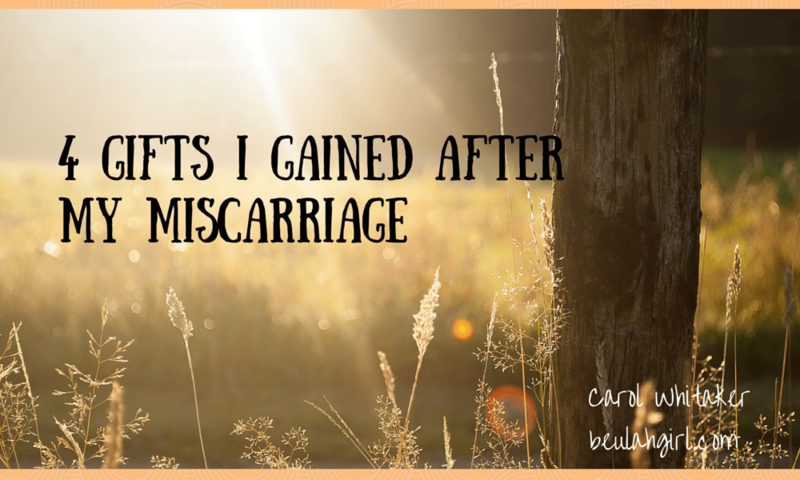 As I mentioned before, I was extremely naïve about miscarriage. Had it not been for online forums and articles, I would not have known what to expect because no one had ever shared with me about miscarriage. I assumed it was something that would never happen to me. While I was able to stay at home and pass everything on my own in my first miscarriage, I realize that it could have turned into a situation where I needed medical help. A nurse from my doctor’s office called to let me know that a miscarriage was inevitable based on my low hCG levels but did not really give me advice on what to do. I never scheduled a follow-up visit or anything to see how I was doing health-wise after that miscarriage. However, in retrospect, I would advise anyone going through a miscarriage to view it as the big deal it is in terms of both your physical and emotional health. I would advise staying in contact with your doctor’s office — really watching and monitoring your symptoms — and throwing aside any qualms about going to the hospital if you are excessively bleeding or feel you need extra assistance. With my second miscarriage, I was further along (11 1/2 weeks) and had so much bleeding immediately that I had no choice but to check into the hospital. I was a little embarrassed by what a mess I was when I checked in, and quite frankly, I didn’t really speak up for myself like I should have. I had one nurse check me in and then several more rotate through my room to care for me. I was also scurried off to an ultrasound room and then another room for an examination. No one person was keeping tabs on how much blood loss I was experiencing. Although the doctor mentioned to me that I had an extremely low red blood cell count, I didn’t think to say how many trips I had made to the bathroom or how much tissue and blood I had lost. At one point, I even had a nurse scold me for passing out, and I was too dumbfounded and weak to even counter. Shortly after that, I was wheeled into an operating room for surgery, and I thought that my ordeal would be over. However, that was not the case. After the procedure, I was released even though I needed a blood transfusion. I did not realize this until I returned home and began to have problems with dizziness and a racing heartbeat. Even at this point, I called my doctor’s office because I thought something felt wrong, but they assured me that I was most likely experiencing side effects from drugs they had given me in the operating room. I deferred to their judgment even though something didn’t feel right in my body. I figured I would get better in a few days. However, when we went to pizza on my birthday, and I nearly collapsed walking across the parking lot, I knew something was up. I went to the follow-up at my doctor’s and laid out my symptoms. It was then that they did a blood test and discovered that my hemoglobin levels were at a 7.1 (a 7.0 is blood transfusion level). Moral of the story: If something doesn’t feel right, speak up about it! With medical personnel all around us and professional doctors in crisp coats, we assume that they will just know what is going on. However, I found out that while doctors can tell a lot from certain tests and procedures, you can greatly help them by letting them know about your symptoms, your health history, how much blood you are losing, etc., so that they can truly help you. My second miscarriage was different than my first because I accepted help. I didn’t try to be the stoic survivor I was after my first miscarriage. I was very open with people that I had a pregnancy loss, and I gratefully accepted the assistance. I know the fear in telling people is that it will be worse to get over or they will act awkwardly around you, but I actually found that not to be the case at all. Yes, there will be some who say the wrong things that hurt more than help (we will get to that in a minute), but overwhelmingly, there will also be those people who genuinely want to help and can if you let them. At the start of my most recent miscarriage, I told my husband that morning I needed him not to go to work that day. At first, he just assumed I was experiencing a little spotting, and it was normal. He figured I could just drive myself to the doctor later that day. But I insisted that he stay with me because my mama intuition was telling me that this was bad — I did not want to be left alone with my young children in the state I was in. Once we ascertained the situation was such that we needed to just go straight to the emergency room rather than the doctor’s office, my father-in-law came to pick up the kids and take care of them. My brother-in-law came to sit with my husband while I was in surgery. We needed help. And when we came home and I realized that I was not doing well at all in the recovery process, I asked my husband to stay home from work for the next few days. The booster club of his team set up a meal train for us. In the weeks following, I arranged care a few mornings a week for my son (with family members and a babysitter). I was in no position to take care of my kids or my household until my health got better, and I gladly accepted the assistance. I found people were really relieved to be able to do something for us. People generally want to assist you, but you just have to tell them how they can best be of help. 4. Know that anger is part of the grief process. People expect to be sad after a traumatic event. They expect to cry and be depressed — but another part of the grief cycle is anger. After my second miscarriage, a good friend of mine gave me a pregnancy loss study to go through. The authors devoted an entire section of the study to dealing with anger after a miscarriage. When I read it, a lightbulb went off in my head because I realized that I was carrying around some anger, and I needed to deal with it because my unresolved anger was making me act in wrong ways to some people. If the truth be told, the person I was angry at was God, and the other people were just getting the brunt of that. 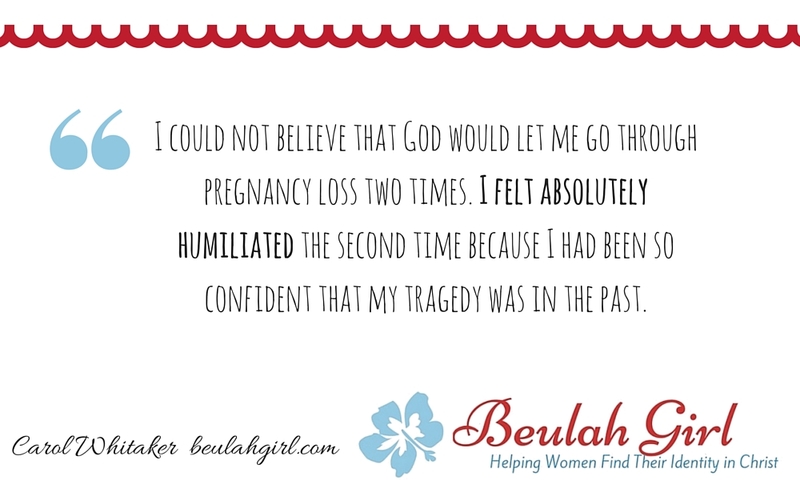 I could not believe that God would let me go through pregnancy loss two times. I felt absolutely humiliated the second time because I had been so confident that my miscarriage tragedy was in the past. Anger in and of itself isn’t sin — but anger that isn’t dealt with can turn into bitterness and resentment. I was able to get rid of the anger when I poured out my feelings to God. I also had some trusted friends that I talked with. I told them everything I was thinking and feeling. Being open about my anger and grief helped to get the negative emotions out. 5. Expect that not everyone will understand. If you choose to share your tragedy (which I recommend because I believe it leads to a speedier recovery), there will be some people who can’t handle it or won’t know how to comfort you. With my most recent miscarriage, some people did not even acknowledge that I had gone through anything when I re-emerged into the public. The mistaken assumption people have is that they will hurt you by bringing it up, but I found that it was worse to be ignored. Then there were other situations where I thought I would get support from individuals, but I found them to be too busy or too horrified by my tragedy to help. In those instances, do not dwell on those hurts. Think back to the times that you failed someone or avoided someone because it was awkward and you didn’t know what to say. For as many people who don’t acknowledge you, there will be those who do, so expect both and know that some people don’t know how to help a person in crisis (especially if they haven’t been through that particular crisis themselves). You can make it easier for others by just bringing up the topic yourself and showing others that you are in a place to talk about it. And, if you are the supporting friend, a simple “How are you?” after a miscarriage will put your friend who has suffered the loss at ease and open up the conversation to go in the direction the person is most comfortable with. We as women are used to being the nurturers of others. 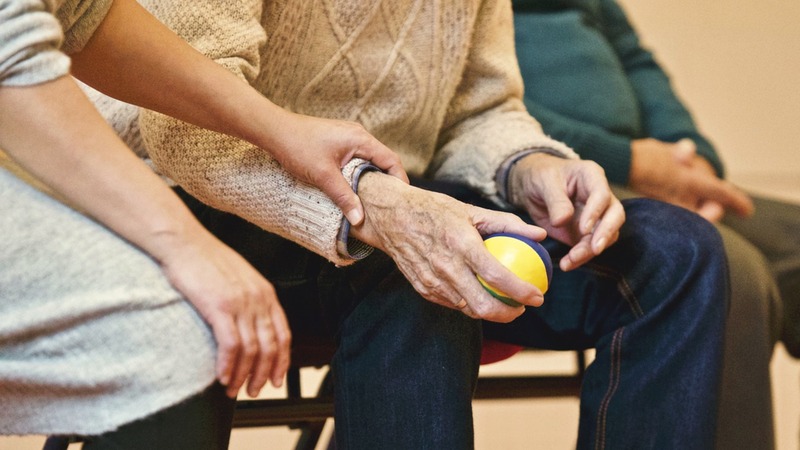 It is hard for us to accept assistance or allow others to take care of us. However, pregnancy loss is a time when you need to give yourself permission to slow down, ask for what you need from the people around you, and allow yourself to heal. If you yourself have not gone through a pregnancy loss, I believe that you can still serve as a valuable support to a friend or another woman in your community who has. You can serve her best by checking up on her, listening to her, and being there for her when she most needs support. As a survivor of two miscarriages, I don’t relish what I went through. However, I did survive — and survive well, with God’s help. He is the binder of all wounds, and He knows just how to take care of you, whatever your loss. You need only let Him. His help may come through the many hands of the people around you. Is there anything else you would add to the list? Leave a comment below. I always have the best plans. Seriously. The best. I lay everything out in my mind. I prepare. I dream. I anticipate. I map it all out. You would think I would have given up planning by now. When I was growing up, I “made the decision” that I would never have children. I proudly proclaimed that motherhood wasn’t in my plan, never stopping to think that perhaps the creation of life wasn’t up to me. After I was married and decided it was time to give this area of my life to God to do what He would with it, I lost three precious babies to miscarriage. Our twins came and went five months into our marriage, and we lost another the next year. Nothing had ever humbled me faster. Nothing brought me lower. I spent so long believing I could choose whether or not to have children, that I could plan to do what I wanted with my fertility. I never considered that this would be decided for me. I didn’t stop planning, though. Immediately after my second miscarriage, I became pregnant with my daughter. I was going to do everything perfectly this time. I would continue my practice of running and compete in 5Ks once a month, even while pregnant. I would eat healthily and stay active in order to give my daughter the very best home for precisely 40 weeks. My plans, naturally, were derailed immediately. I threw up all day, every day, throughout my entire pregnancy. I had rare breaks between puking sessions, but I was so weak I could barely walk, let alone run. We had to make a few trips to the hospital for fluids because nothing I ate would stay down. I ate whatever wouldn’t come straight back up, which meant my diet consisted largely of chicken noodle soup and sour candy. Despite all this, I was still going to have the perfect birth. With the best of intentions, I created a playlist of worship music that would provide the perfect backdrop to my daughter’s entrance into the world. I studied natural childbirth, got a birthing ball, and planned to labor at home for as long as I could before we drove to the hospital. There, I would deliver my daughter without any pain relief, allowing my body to work as God intended. You know where this is going, right? My sister drove me to the emergency room on a Monday. I was 32 weeks along and my husband was painting the nursery that night with my father. “Stay home,” I told him. “My blood pressure is a little high, but it’s nothing. I’ll be home in a couple of hours.” He came anyway, and I didn’t get to go home. I had suddenly developed severe preeclampsia. I stayed in the hospital that night with the intention (yes, there’s that word again) of going home the next day on bed rest. As we were packing up our things to leave on Tuesday evening, the nurse came in with my test results. I wasn’t going home. We sat, bewildered, in the hospital room until the doctor called my husband’s cell and asked to be put on speaker. I remember words like “shocked” and “sick” and then he got to the point: “We’re going to have to deliver your baby first thing in the morning.” We cried and prayed and lay awake all night, trying to come to terms with the news that our baby girl was coming 8 weeks early and wouldn’t be going home with us for a very long time. She was 3 pounds, 7 ounces, so small she could be held in one hand. But I didn’t get to hold her. She was whisked away into the NICU, and when I did get to meet her the next day, I saw more of the wires and monitors than I did of her. I sobbed, overcome with love and fear and the feeling that I had failed her. My body had failed to protect her, had failed to be the stable, secure home she needed. This wasn’t what I had planned. None of this was what I had planned. A few days later, we left the hospital without her. I will never have words to describe that feeling. I just pray I never have to feel it again. Every day we made the journey to the hospital to visit our baby. We held her delicate frame and read to her about Jesus and prayed over her. And every night we went home to an empty nursery, where I would lie on my face and pray through anguished tears. I swore I was done planning. 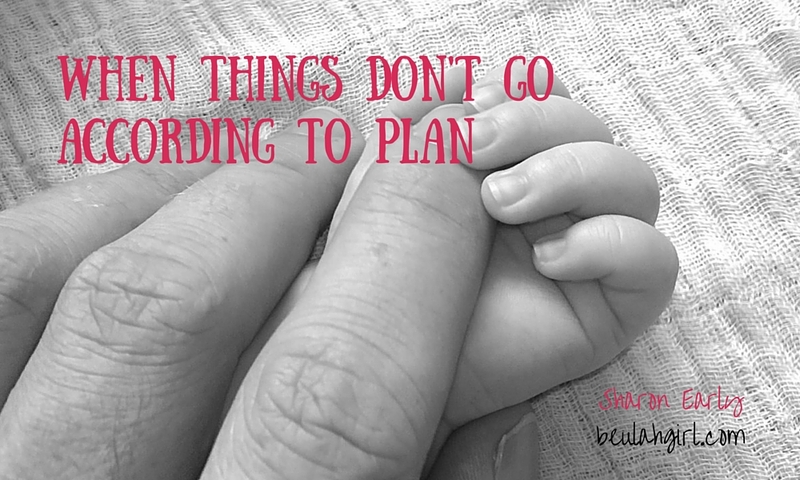 I have learned more, since my daughter was born, about God’s perfect plan than I ever thought possible. You see, my plans, however well-intentioned, are nothing more than arrogant schemes in the shadow of God’s perfect will. I believe, without a doubt, that He planned her birthday for February 11, 2015. Her arrival was eight weeks early to us, but right on time to Him. He was neither surprised nor shaken. We were drawn closer to our Sovereign Creator as we watched her being formed before our very eyes. We were forced to be trained in complete dependence on our Jehovah to provide our strength as we left her in the care of strangers (who eventually became family) every day and night. And as we felt the pain of separation from her, we knew for the first time the depth of our Father’s love for us and the great lengths He went to in order to bring us home. Oh, I wouldn’t change a thing. My plan for Mellie’s arrival sounded perfect to me, but it more than paled in comparison to the glorious, miraculous way in which God escorted her into the world. How He loves us. I still plan things. I haven’t learned. And God still shows me how wrong I am. After all we went through with our sweet Mellie Christine, I said we were going to wait a while before our next baby. We needed a break, of course. I suppose I was simply asking for a positive pregnancy test. Mellie is due to become a big sister in a few short months. And while we may hope this new little baby comes on our schedule this time, we know from experience that He has a plan “to do immeasurably more than all we ask or imagine,” according to His power at work within us. To Him be the glory, forever and ever. Amen (Ephesians 3:20). One year ago, I went to the hospital and lost a baby. It wasn’t the first baby I had lost. It was the second one that never made it past the first trimester. And because I had already carried two healthy babies to full-term, I figured that God would give me some kind of get-out-of-jail-free card — a pass on suffering during the rest of my pregnancies. I was so confident that I would be fine in this pregnancy, I barely blinked an eye when the nurse told me I was anemic and needed to get on iron supplements. I called in the prescription and decided to pick up the pills after my vacation to Seattle. I was only going to be gone for 9 days. I would eat iron-rich foods and get on iron pills when I got back. I was more worried about flying and getting sick on the flight than my hemoglobin levels, but I discussed it with my doctor, and I felt great on the flight and during the trip. No morning sickness. No nausea. I felt more tired than I had ever felt in my life, but I figured that pregnant women with two small children should feel tired. And then a week after I got home, I found myself on a hospital bed looking at a stomach that I knew it was way too flat to house any life. I knew my pregnancy was over. What I didn’t know is that I wouldn’t bounce back. I wouldn’t get up a few days later and resume my life. I would have to climb out of a hell-hole of suffering. I remember feeling so betrayed by God when it happened. How could He let it happen to me two times? Wasn’t one baby loss enough? And to add insult to injury, this second miscarriage confined me to a bed for weeks and weeks. But it was out of that place of sadness and solitude in my bedroom that I began to write. And though I wanted to birth my Addison Grace at 40 weeks, God birthed in me instead a greater compassion and empathy for others and a call to minister to other women. I share this journey with you here on my blog with every post I write — and it is from that place of remembering and reflection that I write a guest post for Forget-Me-Not, Oh Lord! this week. I talk about how my view of what happened is different now than it was then. I talk about how I have been finding “beauty for ashes” in a life event I would not describe with any words less than “horrific” and “shocking.” I would love for you to click the link and join me there. 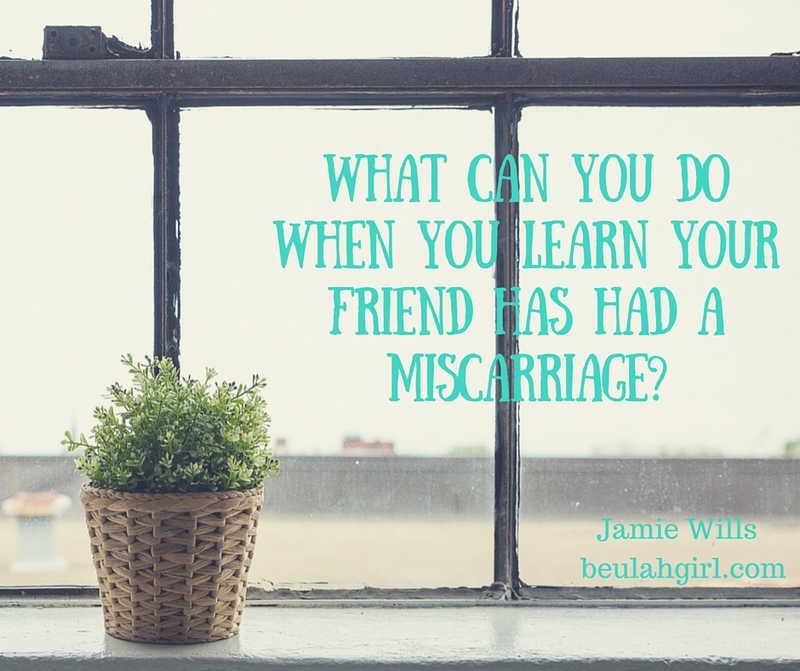 What Can You Do When You Learn Your Friend Has Had a Miscarriage? It has happened again. Another dear friend of mine has suffered a miscarriage. I know the darkness that comes with pregnancy loss. I know the loneliness. I know the pain — physical and emotional — that overwhelms. And I just want to make it all go away for her. But I can’t. And that is frustrating. So, is there anything someone can do for a friend who has suffered a miscarriage? To answer this question, I thought back to the days right after I lost our Angel. I thought back to what others had done that helped me as I began to work through my loss. Here is a list of things you should consider doing for your friend as she grieves. The last thing a grieving parent should have to think about during this time is what to make for dinner. Mom and Dad (and their children if they have any previous to this loss) need to eat — even if they don’t want to. Help them out. Take that chore off their to-do list and — in a kindness that will speak love to their hearts — take them a meal. I have found that grieving mothers want to tell their stories. It helps them to process what happened. All you have to do is make yourself available. Sit with your friend. Listen. If need be, cry with her and give her a hug. Just being there to listen can help so much! For some women, remarks meant to console like “Perhaps this (the miscarriage) was for the best” or “I’m sure you’ll be able to have other children” or “This happens to a lot of women” may be comforting, but to other women, these statements seem to minimize their losses. Instead, you can never go wrong with simply expressing your sadness at her loss and/or giving her a hug. Again, just be there for her. 4. Consider a small gesture. Send her and the father — he lost a baby too — a card, or flowers, or some other small token of remembrance. Gestures such as these acknowledge your friend’s pain and acknowledge the life of her child — two things that are overlooked after one experiences a miscarriage. Never be afraid to remember your friend’s baby. Be certain, she will never forget that little one — no matter how long he or she was in the womb. To acknowledge her baby is to acknowledge her and what she went through. It makes the experience less lonely and honors the little life that passed too soon from this earth. 5. If she already has children, take them for a couple hours, for a whole day, or for a sleepover. Your friend and her spouse need time to grieve. It is nearly impossible to do this with children around who demand constant attention. If it is possible for you to do this, it would be greatly appreciated! Above all, remember that your friend just lost a child. Yes, the baby was only a few weeks or months old, but in that time, this new mother made plans for her baby’s future: perhaps she narrowed down a list of potential names, perhaps she cleaned a room in anticipation of the arrival of this new family member, or perhaps she bought a few new baby items. One thing is certain. For her, this new mother loved loves this child, and now, that baby is gone. She will grieve. She will cry. And, eventually, although it will leave a scar, she will heal. Today’s forget-me-not: The grieving mothers of miscarriage. See them. Support them. Adapted from a post published August 1, 2014. To view original post, click here.